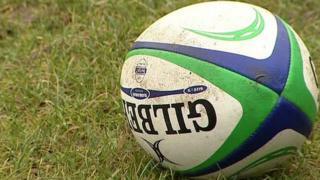 The World Rugby Hall of Fame is to be turned into a museum in the town where the sport was born almost 200 years ago. The attraction will be based inside the art gallery and museum building in Rugby town centre. Footage from World Rugby's video archive and sporting memorabilia will form interactive displays, celebrating key moments and star players. The £1.2m centre is due to open later this year. The project will also see the building's entrance and atrium refurbished. The first floor will close in early June, with work to create the Hall of Fame due to start in July. According to folklore, the game was born at Rugby School in 1823. The World Rugby Hall of Fame was established in 2006 and absorbed the International Rugby Hall of Fame in 2014, but until now has never had a physical home. Its website lists 120 of the games' pioneers, players and coaches who have so far been inducted. World Rugby Chairman Bernard Lapasset said: "We are delighted to be bringing the World Rugby Hall of Fame to life through the provision of a physical home for the first time. "Having a destination to celebrate and honour the achievements of those who have shaped the sport and inspired generations of players, coaches and referees is a very exciting development." Council leader Michael Stokes said the town will "be the home of a world-class visitor attraction here for many years to come as a destination for visitors from around the world". The attraction will be based in the town for at least four years under an agreement with Rugby Borough Council. How much of a rugby town is Rugby?